This listing is for the "Little Prince" Scrapbooking Digital Paper Pack, which includes 10 baby boy papers in baby blue and white. Either print or use digitally. Suitable for home printing. • Copyright © 2013 Tanya Stovold. Received as described, fine product and delivered in timely manner. The shop owner is a professional business woman and takes pride in her merchandise. 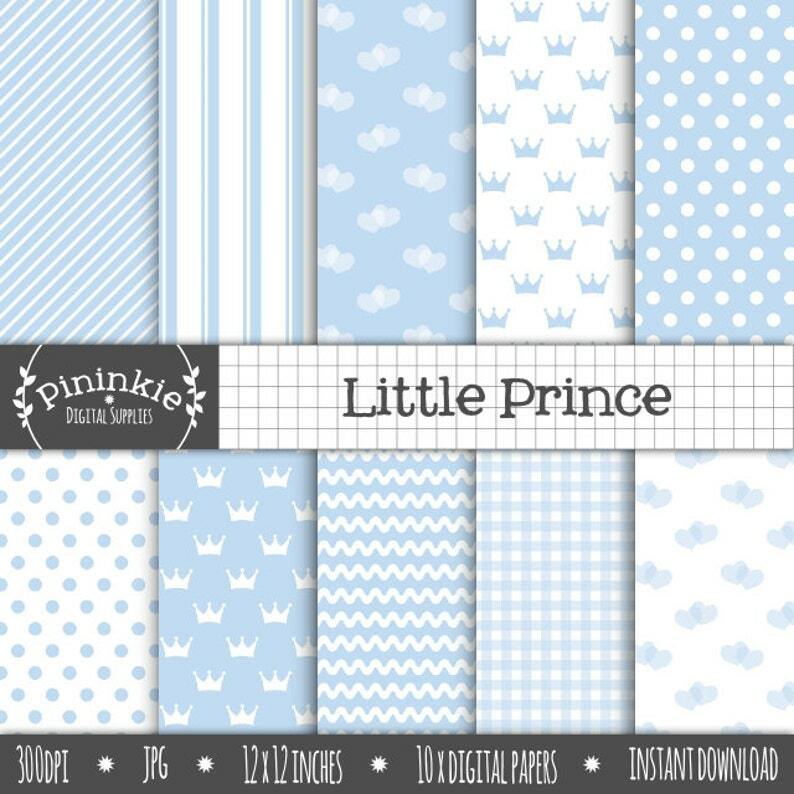 Gorgeous papers, excellent quality, love the cute designs.